This article describes how a healthcare delivery drone has the potential for developing countries to leapfrog the development of traditional transportation infrastructure. Inaccessible roads no longer will prevent urgent delivery of blood, medications or other healthcare items. This article reviews the current status of innovative drone delivery with a particular emphasis on healthcare. The leading companies in this field and their different strategies are studied. Further, this article reviews the latest decision models that facilitate management decision making for operating a drone fleet. The contribution in this article of two new models associated with the design of a drone healthcare delivery networks will facilitate a more timely, efficient, and economical drone healthcare delivery service to potentially save lives. There is a major new technology that is destined to be a disruptive force in the field of transportation: the drone. Just as the mobile phone allowed developing countries to leapfrog older technologies for personal communication, the drone has the potential to leapfrog traditional transportation infrastructure. Drones are not dependent on a well-developed road infrastructure because they fly to their destination. 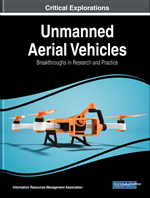 Drones are commonly known as unmanned aerial vehicles (UAVs) (Choi-Fitzpatrick et al., 2016). Alternative terms include Unmanned Aircraft (UA), Remotely Operated Aircraft (ROA), Remotely Piloted Vehicle (RPV) and Remotely Piloted Aircraft (RPA) (Clarke, 2014). Recent innovations have taken place in drone specific hardware, software and networks. For example, light composite materials and global positioning systems (GPS) enable efficient flight. Furthermore, lithium batteries are rapidly improving so drones can fly further on a charge (Raffaello, 2014). Drone software can use mobile phone or tablet apps for tracking and navigation (French, 2015; Khazan, 2016; Raptopoulos, 2013). The drone operating system manages the network by monitoring weather data from all the ground stations and optimizing the routes of the drones (Raptopoulos, 2013). The routes need to avoid adverse weather conditions and avoid other risk factors. Also, an on board webcam can enable communication with a control center (Prigg, 2014). Although the definition of drones is complex because of the diversity of characteristics (Clarke, 2014; Villasenor, 2012), it is generally agreed that drones are devices which are capable of sustained flight, which do not have a human on board, and are under sufficient control to perform useful functions. Worthwhile drone functions include delivery of small items that are urgently needed in locations with difficult access. However, delivery by drones is usually much more expensive than delivery by conventional transportation. Delivery costs per ton mile have been estimated at $2000 for drone delivery, versus $40 for same-day ground truck delivery, $1.37 for air freight and $0.20 for national truck (French, 2016). Furthermore, drones perform relatively poorly economically on route density and drop size (D. Wang, 2016). Nevertheless, analysis of “value density” versus urgency shows instances when the price premium makes sense (French, 2016). For example, an organ for transplant would have high value density and would be needed urgently to save a life. Other critical healthcare drone delivery applications include timely delivery of urgently needed medications, blood and vaccines. Despite the urgency, locations needing the delivery may have difficult access due to poor transportation infrastructure, or roads blocked by severe weather, disasters or traffic congestion. Since a drone can fly over an inaccessible road, innovative organizations have begun to use drones for healthcare delivery. In section three, we provide a review of documented examples of drone healthcare delivery. To our knowledge, this study is one of the first academic papers published on drone delivery models for healthcare. While the limited academic literature published on modeling drone delivery has mainly focused on parcel delivery, this paper provides two new models for drone delivery in a healthcare context. A logistics network is designed to provide timely delivery of healthcare items using a tandem strategy involving land-based transportation and final delivery by drone. Both models focus on locating a warehouse with supplies and drone nests to complete final delivery. In the first model our objective is to minimize the total weighted time for delivery; the second model seeks to minimize the maximum weighted time to any delivery point thereby ensuring more equitable service to outlying regions. As such, the new models given are a contribution to continuous location theory with particular application to tandem truck drone delivery of healthcare products. For a review of location decisions see (Drezner & Hamacher, 2004).